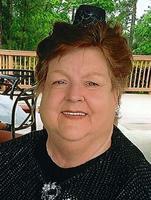 Provide comfort for the family of Betty Montgomery with a meaningful gesture of sympathy. CONCORD- Betty Jean Edwards Montgomery, 69 passed away on April 3, 2019. Funeral services will be 2pm Saturday at Wilkinson Funeral Home Chapel with Pastor Gary Posey officiating. Burial will follow at Cabarrus Memorial Gardens. The family will receive friends Saturday from 1 to 2pm at Wilkinson Funeral Home. Betty Jean was one of nine children born to Charles and Irene Tucker Edwards. She entered this world on July 10, 1949 in Darlington SC. Before her health declined, she was an active church member at Victory Temple. She was a member of the Red Hat Society. She loved to play cards, especially Canasta, and fellowship with her friends. Participating with the Senior Adults on Wednesday at First Assembly was important to her. She always looked forward to family get-togethers with her big Edwards family. She is preceded in death by her parents and sisters, Judy Horton Short, Girri Jacobs, Shirri McDaniel, and Eleanor Travis; and longtime good family friend, Peggy T. Furr, with who she lived with in recent years. She is survived by her son James M. “Buddy” Edwards and wife Ronda of Concord; grandchildren, Danielle and Jeremy Edwards; great grandchildren, Hailey, Isiah, Simon, Finn, Zephyr, and Jasper; sisters, Janie Ussery and Linda Efird, both of Concord; brothers, Charles Edwards and Randy “Bubba’ Edwards, both of Concord; many loving nieces and nephews. She will also be missed by her closest friends, Carolyn Gaylan, Mary Ann Seamon, Kathy Smith, and Peggy Poston. As her heath declined she was lovingly cared for by her niece, Rebecca Martinez and sister, Janie. Memorials may be made to Victory Temple, 3101 Cline School Rd, Concord NC 28025. To send flowers in memory of Betty Edwards Montgomery, please visit our Heartfelt Sympathies Store. Provide comfort for the family of Betty Edwards Montgomery by sending flowers. Today i said goodbye to my best friend. Though the years we laughed and cried together. We saw each other through the good times and the sad ones. We shared secrets with each other that we told no one else. Our children grew up together. Betty was so special to me its hard to believe shes gone. I was blessed to have her in my life. So goodbye my special friend. I will miss you for the rest of my days. Our Red Hat Sister will be truly missed here on earth. We know she has earned a gorgeous halo in heaven. Betty was so special. She was so fun to talk to. We will always treasure the memories we all shared. We wish all of her family warmest condolences. Hugs from us all. May the family of Betty Edwards Montgomery please accept my sincere condolences hoping you find comfort in God's words at Acts 24:15 and Psalm 37:29.